Wi-Fi 6 is the next generation of wireless that is becoming available in some devices and hardware. This comes at a time when households are bringing more and more connected devices, such as smart security cameras, voice assistants, smart thermostats and appliances, all of which are dependent on a constant connection to the cloud. All of these new devices increase the complexity of a network as they compete for bandwidth, pushing wireless home networks beyond the technical threshold for the current generation of Wi-Fi. Today, NETGEAR announced a new range of ultra-fast Wi-Fi 6 routers that are designed to help you harness the abilities of the new protocol. Overview: Features combined Wi-Fi speeds up to 3Gbps and an AX optimized dual-core processor powers smart home automation, ultra-smooth 4K UHD streaming, online gaming, and more. Overview: Features blazing-fast combined Wi-Fi speeds up to 6Gbps with eight Wi-Fi spatial streams – four in the 2.4GHz band, and four in the 5GHz band – offer four times the device capacity as compared to typical 2×2 AC Wi-Fi. Multi-Gig Internet enables customers to get more than one Gbps of internet through aggregation. Overview: This 12-stream router offers combined Wi-Fi speeds up to 6Gbps and AX optimized 64bit 2.2GHz Quad-core processor. As the only router with 8 streams on 5GHz, you will get better range and reliability with all devices. Built-in 5Gbps Multi-Gig Ethernet provides powerful connectivity options. 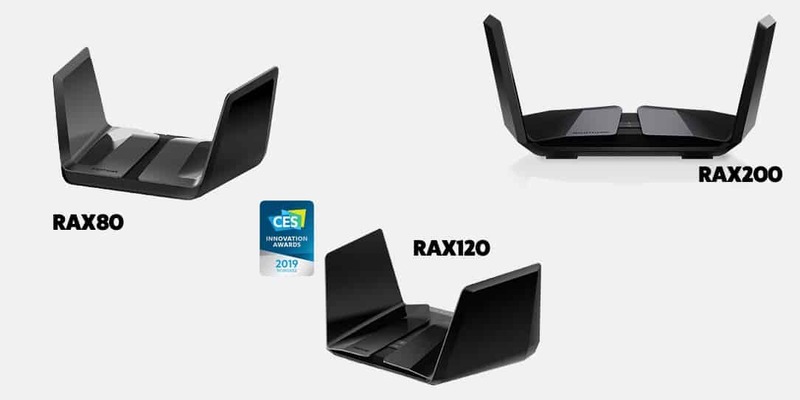 Overview: Offers the fastest Wi-Fi speeds with a combined speed of up to 10.8Gbps designed to specifically address the smart homes of today and into tomorrow, which are crowded with an ever-growing number of connected devices. While streaming 4K/8K Ultra HD video and playing online games simultaneously on the same network, you’ll now be able to enjoy the experience without lag or interruptions. This router also supplies a 2.5Gbps Multi-Gig Ethernet that can be used for LAN or internet connectivity. Three of the four new Wi-Fi 6 routers from NETGEAR. Wi-Fi 6 — the latest generation of Wi-Fi –- delivers up to four times better performance than Wi-Fi 5 (802.11ac) using innovative technologies such as Orthogonal Frequency-Division Multiple-Access (OFDMA) to help maximize the capability to connect multiple devices at the same time, which will help reduce the congestion for the typical bandwidth starved connected home. Wi-Fi 6 will provide a huge boost in total network capacity and reliability, ushering in a new era of speed, performance and capacity for wireless networking in today’s homes. The actual quality of the connection for each Wi-Fi device will also be improved by reducing the interference between them, thus ensuring that the experience of lag or buffering is reduced during online gameplay or streaming Ultra HD 8K/4K. “While previous Wi-Fi iterations have been largely about improvements to speed, Wi-Fi 6 promises a number of other benefits such as lower battery consumption and most notably increased capacity and reduced latency,” explains David Watkins, director, Intelligent Home Group for Strategy Analytics. 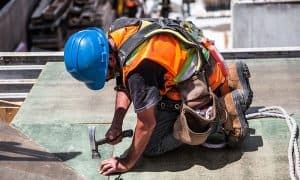 “The average North American home today has 10 Wi-Fi devices and this figure is set to grow significantly over the coming decade as consumers adopt more Smart Home devices. The enhanced capacity of Wi-Fi 6 will ensure that consumers experience great performance across all their devices even as those devices demand more data from ever richer media services.” To make the most of the higher speeds and greater bandwidth for the broad range of household network needs, NETGEAR has released a new family of routers featuring the industry’s latest Wi-Fi 6 standard with four times increased data capacity to handle today and tomorrow’s growing home network. 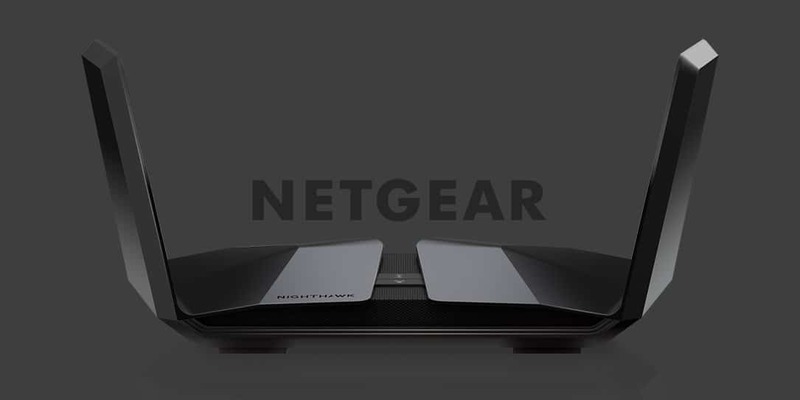 What do you think of these NETGEAR Wi-Fi 6 capable routers? Let us know in the comments below or on Twitter, or Facebook. You can also comment on our MeWe page by joining the MeWe social network.